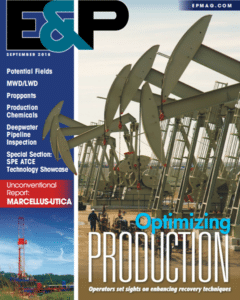 The September issue of E&P Magazine features an article on silica dust control proppant coatings written by Michael Diaz, one of ArrMaz’s expert chemists. The article discusses different criteria to consider when evaluating silica dust control proppants such as making sure that the coating is compatible with the fracturing fluid being used. Other criteria which are also important but often overlooked are the individual characteristics of the silica sand being used, such as the shape, surface area and composition of the sand. ArrMaz’s SandTec technology is customized to work with sand of varying characteristics to ensure optimal silica dust control performance.